I first “met” apple cider vinegar when I was diagnosed with type 2 diabetes. There seemed no end to its benefits – both in health and other areas of life. This simple and inexpensive “food” is the real deal and a natural cure for a long list of ailments and for promoting health. It is great for skin, hair, weight loss, sunburns, sore throats, tummy troubles, energy boost, kidney stones, colds and flus, acid reflux … almost everything! Apple cider vinegar has been in use for centuries as a natural therapy and in fact was Hippocrates’ go-to remedy. Unpasteurized organic apple cider vinegar has “mother of vinegar” which appears cloudy. After extracting the juice of apples, bacteria and yeast are added to it to create the fermented product that we know as Apple Cider Vinegar or ACV. So you’re thinking, if ACV is acidic how does it work miracles? Its ability to create an alkaline environment in the body makes it a healer along with its nutrient content. ACV is rich in vitamins and antioxidants including vitamin A, B6, C, E, thiamin, riboflavin, niacin, pantothenic acid, beta-carotene and lycopene. Apart from these, the magic of ACV is in its mother of vinegar content, or mycoderma aceti, created during the fermentation process by acetic acid bacteria and a type of cellulose. Our body is open to disease through pH imbalance since acidity kills the minerals in our bones, cells, organs and tissue. 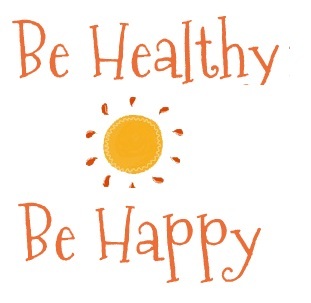 This results in lower vitamin absorption, causing toxins and pathogens to build up, weakening the immune system. ACV helps to strengthen the immune system. Kills cancer cells or slows down their growth. Supports healthy prostate in men. And yes, Apple cider vinegar is great for your pets too, to remove ticks and fleas safely. For itchy skin caused by dry skin, allergic reaction, an imbalance in the body mix ¼ cup ACV with 1 cup water and with a cotton swab, dab the affected area twice a day until the itching goes away. Also works for athlete’s foot, jock itch, fungal infections, corns, warts, and swollen varicose veins. For sore throats, mix ¼ cup ACV with ¼ cup water and gargle for thirty seconds. Then rinse with water. Repeat a few times. For personal care and skincare, ACV is safe and effective and non-toxic. The antibacterial and antifungal properties balance the skin’s pH and keep it looking fresh and healthy. It also contains alpha hydroxyl acids found in expensive skin creams to remove dead skin cells. No need to go to the spa! Fill a basin with warm water and ½ cup of ACV. Massage the mixture all over your body into your skin until it is dry. No need to wash it off. You can also fill a spray bottle with the mixture and spray it on after you shower. Make an effective hair rinse to remove shampoo build up by mixing ½ a teaspoon of ACV with one cup of water. Pour it on your hair and rinse it for a shine. 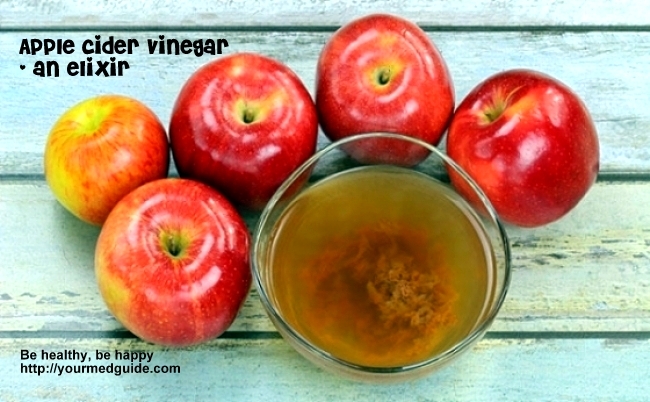 ACV also works as a deodorant, an aftershave, a tonic for tired eyes and treats nail fungus. Use as a detox. Take two tbsp. of ACV in 8 ounces o fwater. Add two spoons fo ACV in 8 ounces of water and consume thrice a day to regulate body PhH and protect your kidneys and liver. Body odor? Rub ACV in those areas to banish it. Swollen feet and hands? Rub ACV into them for relief and to reduce the swelling. ACV is so versatile that you can also use it around your home as a safe cleaning solution, remove rings on furniture, decontaminate your bathrooms. Commercial cleaners can be hazardous to health but ACV is safe. To clean clogged pipes just pour a mix of ½ cup baking soda with 1 cup ACV. When it stops foaming, flush with hot and cold water. Use it to freshen the air in the bathroom and clean your toilets. Use it to remove fridge odors. That list could literally go on and on. I use Apple cider vinegar for pickling and on my salads. My dietician recommends adding a tablespoon of ACV in warm water or green tea and drinking it first thing in the morning to keep blood sugar levels balanced. What about you? Here’s a great infographic that lists 40 uses from the Swanson health blog. Enjoy! Greetings Blog Challenge neighbor! I’ll pass this on to my wife. I think I’m in love with your blog and I’m so glad I found you through the A to Z Challenge! ACV was my first “life hack” obsession – like you I used (still do!) it for everything and couldn’t stop talking about it as if it were a miracle cure for everything! It now shares my love with coconut oil, but I’m so happy to read about it here! I can’t wait to see what comes tomorrow. I always tend to go back to ACV when Im sick and then forget about it again. Thanks for reminding me it has many more uses.